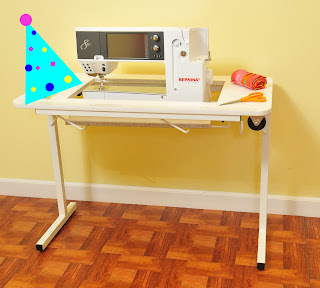 Arrow Sewing Cabinets: Another Friday, Another Winner! so pass the word along to all of your sewing friends to head on over and like us on Facebook! Congrats to Diane M!! Way to go!! Congrats to Diane. The Cut and Press mat is a nice prize! I would love to win the Gidget II - I love to sew in the kitchen to be around everyone and not stuck in my sewing room...perfect solution. Love the wheels on the table. Seriously? This table is in a giveaway? I'm in the process of designing my sewing room! I have to enter!!!!!! Thank you everyone!! What a surprise! I didn't even know I won until a few minutes ago! I kind of feel like a dummy, but a lucky one at that! LOL :-P BTW _ I LOVE this prize! I am going on a road trip next week and it's perfect!!!!!! !